The main purpose of makeup is to accentuate your natural beauty. This is a lot easier to do with some of the industries top tips and tricks. Eyes are the windows to our souls. They supposedly light the first spark of physical attraction, so what can you do to make your peepers pop? 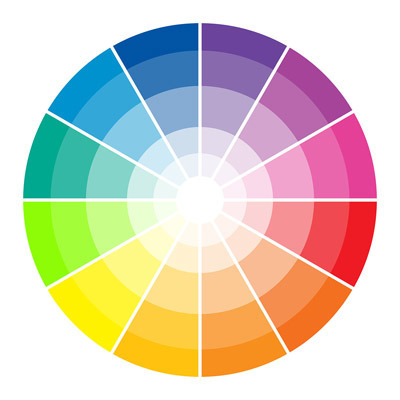 Generally speaking makeup artists use the colour wheel. Complimentary colours are on opposite sides of the wheel. So simply find your eye colour and the colour on the opposing side is the shade you should be wearing! Wearing the wrong colour can actually detract from the captivating power of your pupils. Choosing the right eye shadow can be the difference between a bright, healthy-looking skin tone, and a dull, lifeless complexion. Why not split Urban Decay's Smoked 24/7 Glide-On Eye Pencil Set between you and five friends? At £26 that makes the pencils just over £4 each, a real steal for the best on the market! Just make sure you go with friends with different eye colours so there are no cat fights at the till! What's your favourite eye shadow colour? Do you stick by the rules of wheel or live more dangerously?